Posted April 24, 2015 by Tony Jones & filed under Books. Justin Richards, the series script editor, wrote this final piece and took great care to balance the story, giving the regular crew plenty to do as the infiltrate the planet and make their way into the base where they expect to find Dayna. Unfortunately for them, others have their own plans. If Josette Simon is absent in the role of Dayna, we are instead treated to her mother, Federation agent Karine Mellanby and her companion Kramer. As the Liberator crew approach their goal, they fall foul of the machinations of a federation psycho-strategist who has tailored the whole setup as a bespoke trap. The strengths of each of the crew are neutralised and it is only through a very amusing, and well played, mistaken identity that our heroes are able to escape and win the day. We learn more about Dayna’s mother and get a new angle on one of the regular crew. Where this story has problems is in its admirable desire to give everybody some air time; this means they are reduced to almost a set of tropes, and even poke fun at their own reliance on air ducts and the story is littered with defence grids, locks to open and communications to intercept. It all entertains but as a climax to a series feels more like a mid-season story. There is nothing wrong with it, but it focusses hard on pulling the threads together and skirting around the absence of Dayna. In summary, this is a solid episode, made to the usual standards, well-acted, sounds great on decent headphones and Lisa Bowerman directs with her usual aplomb. A missed opportunity for a two-part finale, but the series as a whole has been very good and there is every reason to await the news of a third run of these full cast adventures with excitement. Extras: Eleven minutes of behind the scenes interviews and a ten minute music suite. 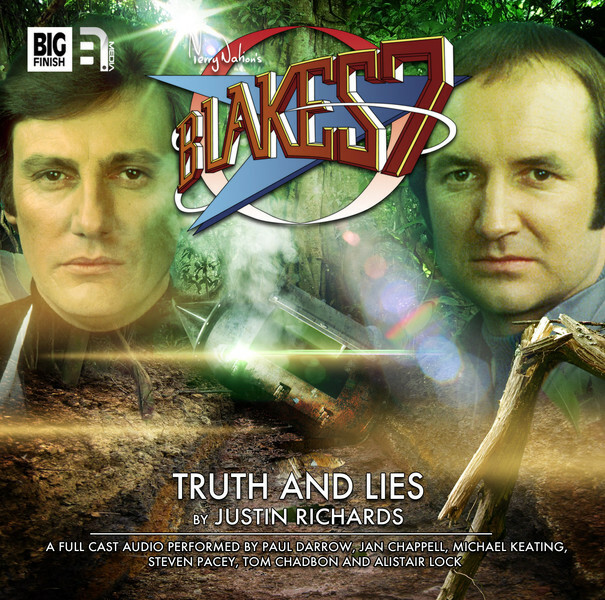 Released on 9 April 2015 by Big Finish Productions Ltd.